It does something to a person when a small kernel of reality hits you: If you lived somewhere else, you would be murdered for existing. I’m stunned by these stories. You hear them and depending on your mood have one of two reactions: (1) Let them roll away quickly with the generic thought, “What a crazy world,” or (2)Let them seep in and begin to shudder. Urgent action is needed to halt the execution of 128 prisoners on death row in Iraq. 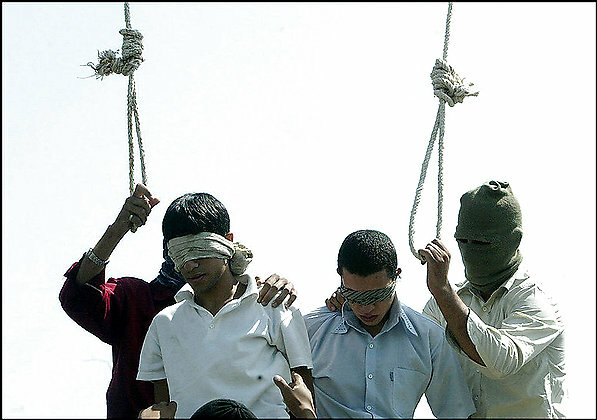 Many of those awaiting execution were convicted for the ‘crime’ of homosexuality. According to Ali Hili of IRAQI-LGBT, the Iraqi authorities plan to start executing them in batches of 20 from this week. Yes, all Americans should be able to marry and adopt children in every state of the Union. And we all will. But, there is not a second in any day where I shake a fist at the man upstairs for rigging the dice so that my little spin on the planet take place mostly in this country. The end of your post was cathartic. Often people assume criticism of a national leader’s decision or the country itself is indicative of a lack of patriotism. Whenever I ask my father, who immigrated here in the 1960’s, if he’d ever want to leave or move back to Pakistan his answer is invariable something along the lines of “hell no”.